Since this is going to be a super short post, there will be no jump, so you can just read right through. 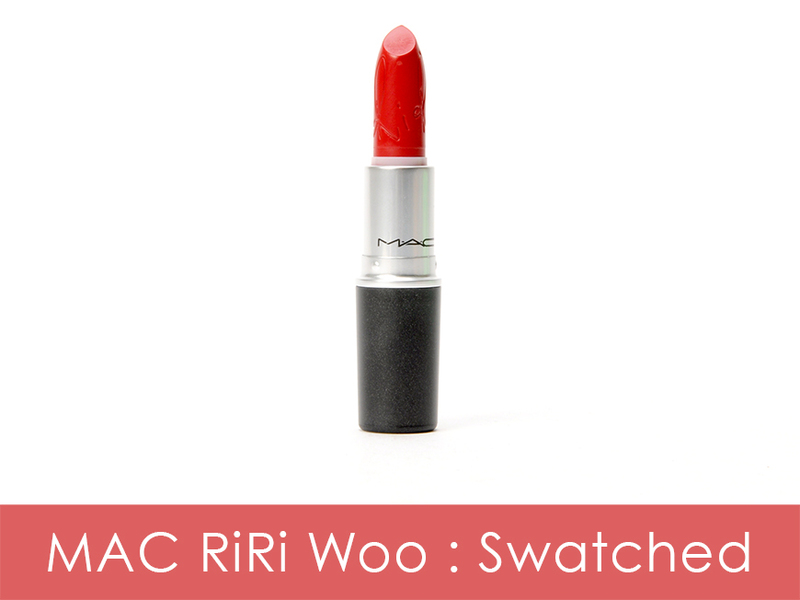 RiRi Woo arrived a few days ago and I have swatched it for you and put it on my lips so that you can see how it looks! It's sold out for the time being, but it will be coming back in June (you can sign up on the MAC website to be notified of its return). The "bullet" has Rihanna's signature on it, but it's not very deep, so you're not losing very much product. Ok, let me explain this shoddy application. 1) This lipstick is a Retro Matte, meaning it's really matte and it's a bit dry and hard to apply... so 2) I had a hell of a time getting this to look pretty without a lip brush/lip liner. 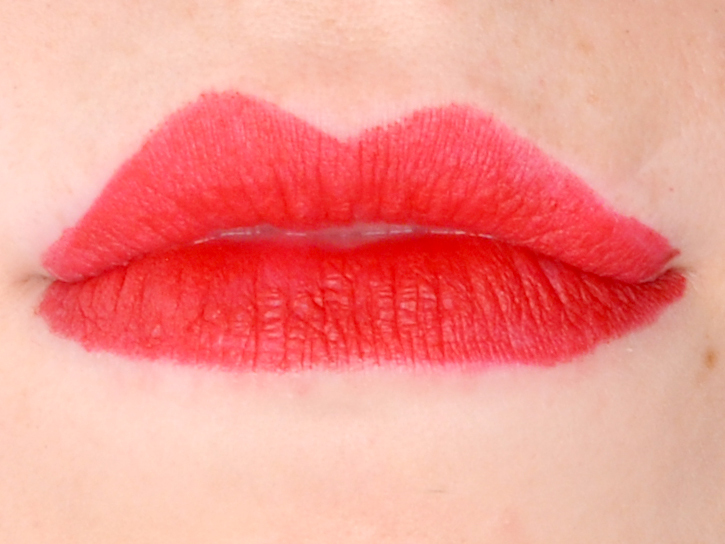 It should get easier to apply the more, but this was the first use of the lipstick, so it was really difficult. And a full face photo so you can see it in relation to my face. Since the lipstick has blue undertones, it makes your teeth look a bit whiter, but it still works with my warm undertones. It's a nice lipstick and since I don't own Ruby Woo (I've heard that these two are almost the exact same thing), it's a welcome addition to my collection. 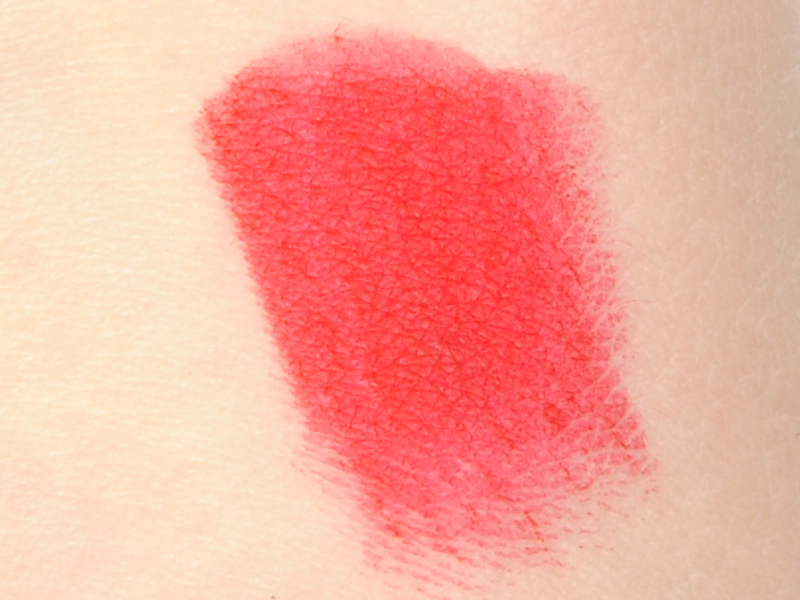 The next time I wear this though, I will have balm underneath, line my lips, and apply with a lip brush.